If you’re roasting the red pepper, turn the oven on to 425, cut and seed the pepper and drizzle with oil. Broil in the oven for approx 25 mins or until they’re soft and browned. Put the rest of the burger pattie ingredients in a bowl with the tempeh and when everything is cool, mash with your hands. Heat up some olive oil on medium heat on a pan and fry the patties until browned on both sides. 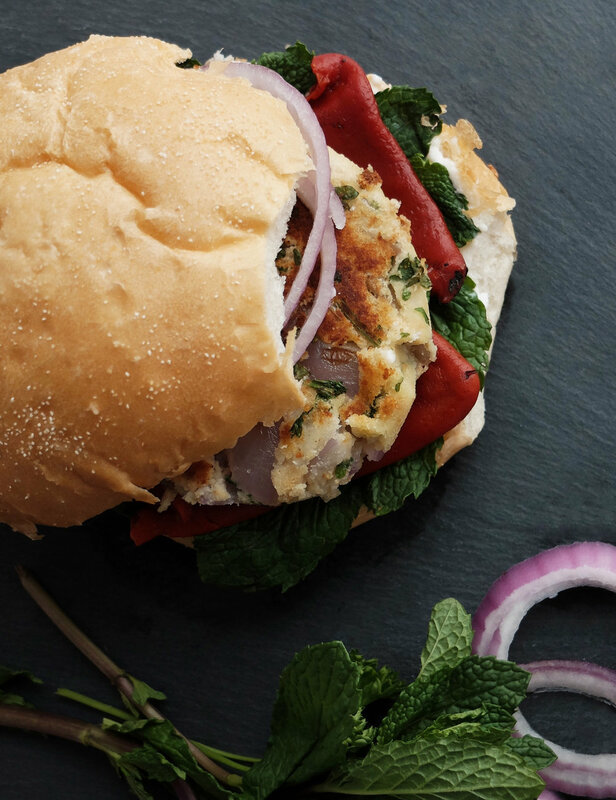 Top the buns with the cooked patties, spinach, red onion slices, sliced red pepper, and fresh mint.